From the annihilation of terrorism in the island nation to the post war development drive, the country has come a long way. Even though, terrorism was laid to rest in 2009, various parties still try to brighten their auras with the heroics that had long become a thing of the past. 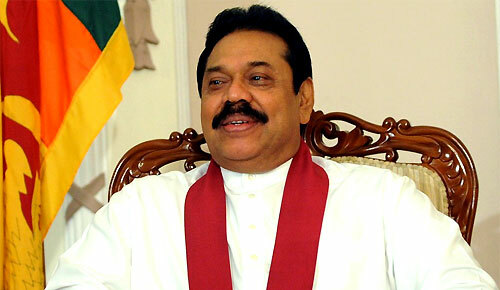 The same is somewhat true about President Mahinda Rajapaksa for if not himself, those who are around him suffer from the over usage of the term in connection to his name. However, history alone cannot make good leaders. It requires a bright present to ensure a brighter tomorrow. The second year of President Rajapaksa's second term will be completed tomorrow, to whom the war victory was an A plus in his first term's report card. Undisputedly, it was his leadership that paved the way to freedom the people were long deprived of; their gratitude was in the massive mandate he was given at the election. However, Mr. Rajapaksa with his long tenure in politics needs to realize that a mandate does not only mean a mark of popularity. In fact with it comes the responsibility to fulfil the aspirations and requirements of the people who thought he was fit to rule the country- not once but twice. Therefore, it is essential to listen to their needs rather than expect them to silently accept whatever that is being done in the name of development. However, one cannot be rejoicing too much over the unpardonable behaviours of a few of the high government officials and the increasing inefficiency in the state institutions. While the corruption rate is at an all-time high, the dearth of mechanisms to counter such impunities is widely felt. On the other hand, people seem to be losing faith in justice and the power of law enforcement authorities to safeguard public security; for them, the escalating crime rate is a reincarnation of terrorism that was buried three years ago. Amidst these daily dramas and the intra-party rivalries that are arising within the government, it is important that Mr. Rajapaksa's unwavering focus remains on developing the war ravaged north and east and bringing a lasting consolation for the people who suffered long enough. As promised in his victory day speech that there would be no more minorities, equality and respect for every citizen irrespective of one's ethnicity, religion and caste should be guaranteed so as to avoid the recurrence of bloodshed. Be it the cracks appearing in the government's seemingly strong structure or the difficulties in the reconciliation process, it is crucial that these issues are addressed in a manner that is sustainable, not only to silence the opposing voices of the international community but also to maintain perpetual harmony in the country. In fact, he needs to understand that before moving ahead with mega million development projects and extravagant business ventures that hardly benefit the ordinary citizenry, the best he can do is to assure that the fundamental freedoms of the people are safeguarded and fear is permanently eliminated. Many years in the highest echelon must have taught him the lesson that keeping every Sri Lankan happy is more essential than ensuring the happiness of a few individuals. Only then will he be able to call himself a statesman among the politicians and a guardian of the country's sovereignty.